Enter your postcode for more accurate delivery costs and times. This is a live product. Please call to confirm stock, as item stock may change throughout the day. The Premier Pacific 1500mm Sliding Shower Door is stunning, featuring a polished chrome finish and generous showering area. It is also highly functional, offering 6mm toughened safety glass and reversible sliding door. 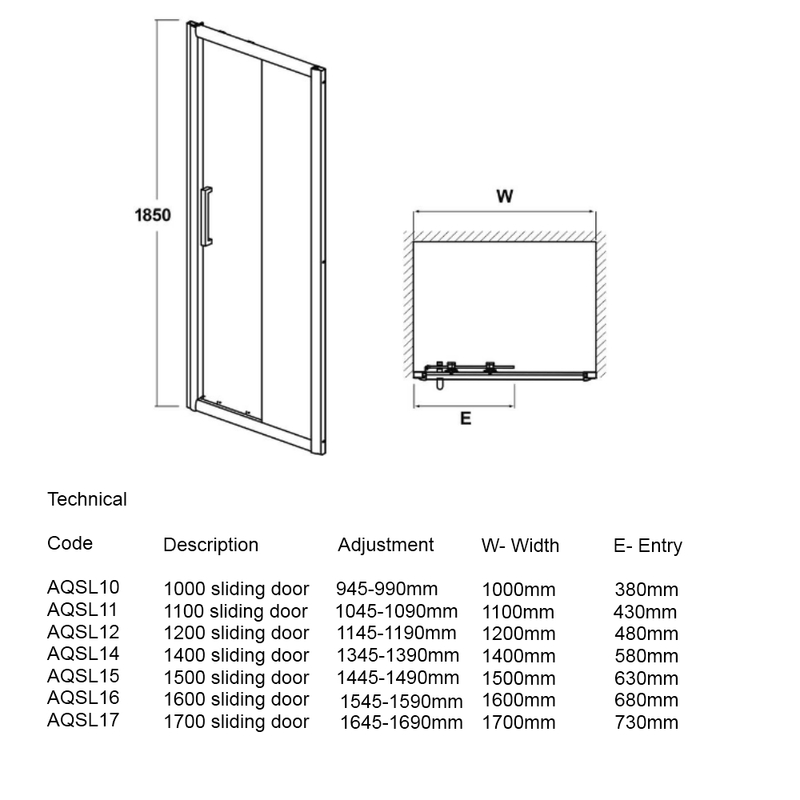 The Premier Pacific 1500mm sliding shower door is excellent value for money. All Premier Sliding Shower Doors are fully adjustable to fit sloping and uneven walls. All Premier Sliding Shower Doors are made with 6mm toughened safety glass. All Premier Sliding Shower Doors are reversible so can be opened from either the left or the right. All Premier Sliding Shower Doors come with a lifetime guarantee on manufacture defects. Enter your email address to be notified when this product comes back into stock. Your email address will only be used for this notification, and will be removed from our system, once the email has been sent to you.